Did I do OK the price was right I would of liked a red 3H on the dial they do look cooler but at the price I got this for it's OK as long as it's a Sinn refurbish with the military history behind it.Did I do OK on this one.From what I read the Sinn refurbish one's were redialed and the back cover the original issue marks were scratch out with another issue mark added below. Last edited by river rat; 21-12-2011 at 18:18. I would like to offer a more informed opinion than I am going to, but I am afraid that Heuer Bund variations bring my pea-sized brain close to meltdown. For what it is worth, I believe you have done the right thing in getting a known Sinn refurb at the appropriate price for such a thing. The reason is that I believe that there are so many Heuer Bunds out there that purport to be something more original (and are priced as such) but are not. Better to pay less and get a known quantity than risk significantly more, onl to be disappointed. Having said that, I notice that the dial font on your example is very truncated, so that there is a hole clean through the 0 of 10, the 8 and through the 2 as well. Now I didn't think that such truncation was a known Sinn refurb feature. I know that truncated font is a known feature, but there are at least two levels of truncation. One with a slight trim to the edge of the numerals, and then yours, with whole sections missing. I thought the former was the known Sinn refurb variant. Not much help I know, maybe Flugzeit or Longbear will be along in a moment to assist. I just happened to see this thread while wearing my Heuer BUND. Embarrassingly, I don't have any decent photographs of it, so I've just taken a couple in the almost non-existent light. I think there are a number of things to be raised in relation to this question, but unfortunately I'll have to come back to it later (I'm in a hurry now). One thing I'd like to know is if the numerals are luminescent? They are not tritium, but a bit more info here would be helpful. So knowing what type of lume was used on the dial would help to know if this a Sinn refurbish dial. the "standard" font - most noticeable because none of the numbers are cut-off. 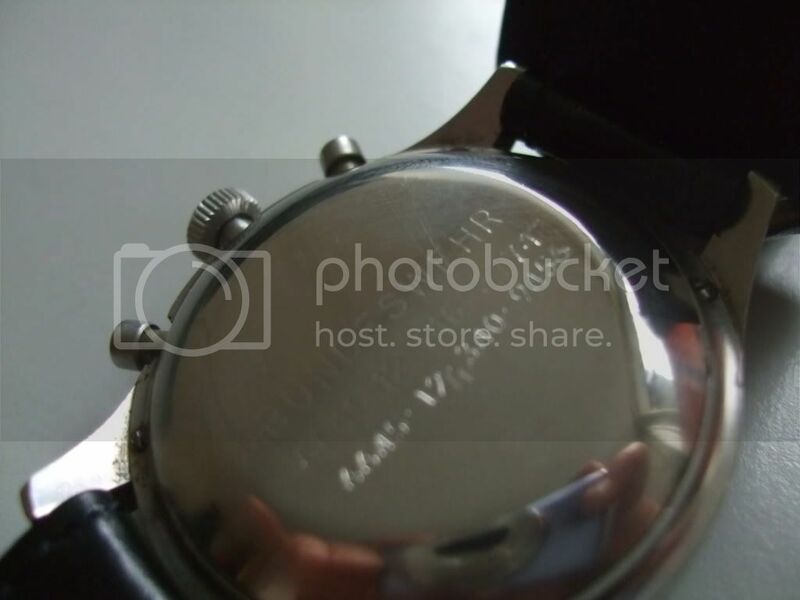 the "cut-off" font - the 10:00, 8:00, and 2:00 are cut-off by the subdials. And the cut off front is like mine.But mine looks a little different than cut out front from that web site. Last edited by river rat; 22-12-2011 at 15:13. There is a web site in the USA I am not going to say who he does post once in a while at MWR they have one Heuer for sale for 3899.00 US that's mint and all original.If mine has a Sinn service dial it saved me 1599.00 as long as every thing else is original like the issue marks and if it was a Sinn rebuilt from the 1990's.Crazy the prices are on these. 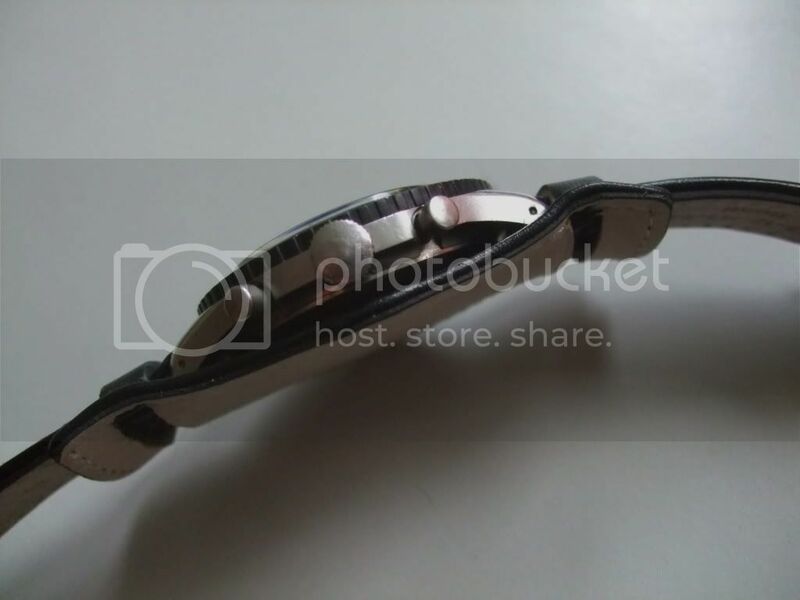 I did a search over at MWR Forum found this and I feel a little better that it's a Sinn redial. It troubled me that Sinn would have two levels of numeral cut-off on their service dials, it didn't seem logical. So I have been doing a bit of searching. And I think I have found out what the dial is. This link here on a German forum has an owner stating that his Bund, with an identical dial, has just had a full spa treatment at Breitsamer, Pforzheim (at a cost of €650). (the one I am talking about is about 2/3 of the way fown that page). Now, Breitsamer is the official Heuer service centre in Germany. 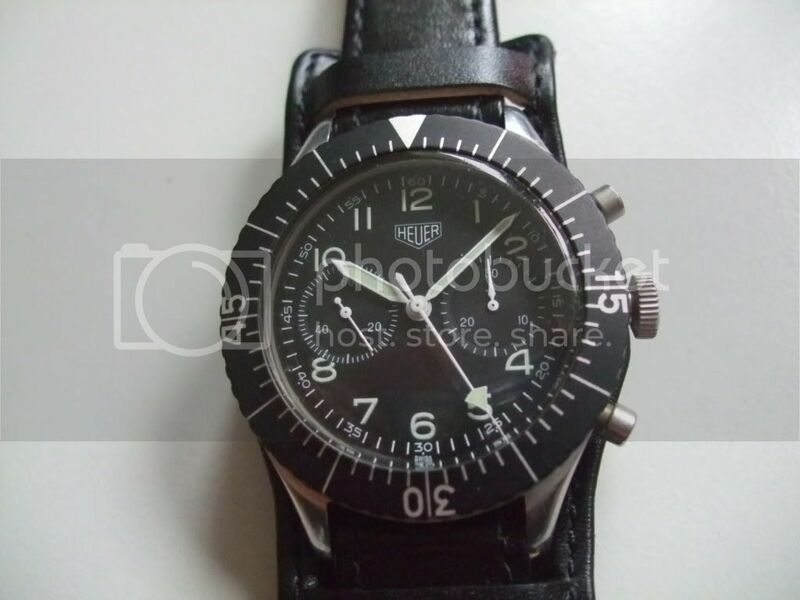 So, I come to the conclusion that yours is a genuine Heuer service dial, and not a Sinn service dial. Dave thanks for the info.That makes me feel better about the deal.I think I am going to be happy when I receive the watch in the mail.